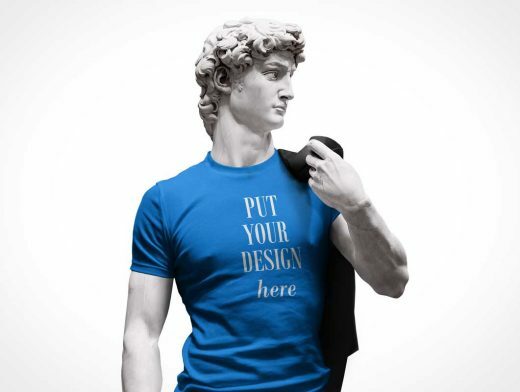 Present your T-Shirt design on Michael-Angelo’s statue of David. In this Photoshop template David is facing forward so your t-shirt design is facing directly forward. Although the t-shirt cannot be removed from the statue of David, the color can easily be changed to suit your needs. Shadows and other elements such as Smart Objects are provided on separate layers.